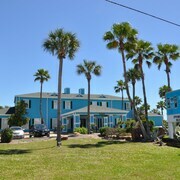 Located in Old Town, this hotel is within 1 mi (2 km) of Port Aransas Birding Center and Port Aransas Beach. IB Magee Beach Park and Horace Caldwell Pier are also within 1 mi (2 km). 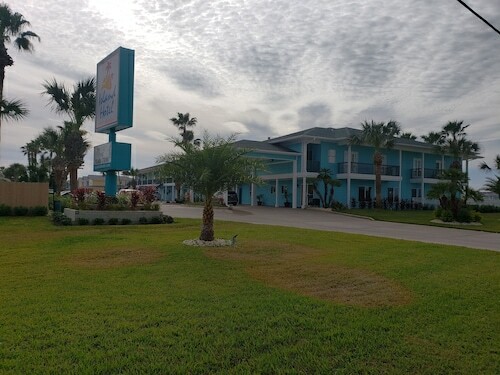 Situated near the beach, this hotel is within 2 mi (3 km) of Port Aransas Beach, Port Aransas Birding Center, and Leonabelle Turnbull Birding Center. Horace Caldwell Pier and IB Magee Beach Park are also within 2 mi (3 km). This family-friendly Port Aransas hotel is located near the beach, within 2 mi (3 km) of Port Aransas Beach and Newport Dunes Golf Course. Port Aransas Birding Center and Leonabelle Turnbull Birding Center are also within 3 mi (5 km). Situated in Port Aransas, this hotel is 0.7 mi (1.1 km) from Port Aransas Birding Center and 1.3 mi (2.1 km) from Port Aransas Beach. University of Texas Marine Science Institute and Leonabelle Turnbull Birding Center are also within 1 mi (2 km). 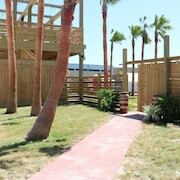 Situated in Port Aransas, this motel is within 1 mi (2 km) of Port Aransas Birding Center and Port Aransas Beach. Leonabelle Turnbull Birding Center and Horace Caldwell Pier are also within 1 mi (2 km). 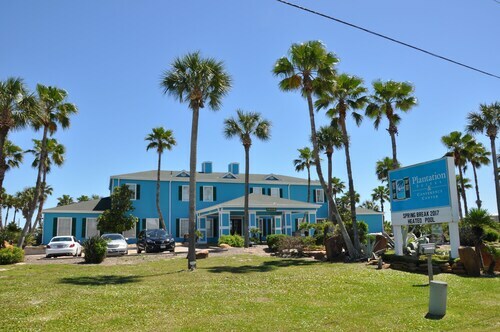 Located in Old Town, this hotel is within 1 mi (2 km) of Port Aransas Birding Center and Port Aransas Beach. University of Texas Marine Science Institute and IB Magee Beach Park are also within 1 mi (2 km). Located in Old Town, this campground is within a 15-minute walk of Port Aransas Birding Center and Port Aransas Beach. IB Magee Beach Park and Horace Caldwell Pier are also within 15 minutes. Situated in Port Aransas, this golf hotel is within 1 mi (2 km) of Newport Dunes Golf Course and Port Aransas Beach. Port Aransas Birding Center and Horace Caldwell Pier are also within 3 mi (5 km). How Much is a Hotel Room in Port Aransas? 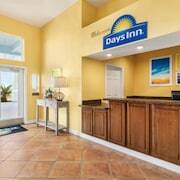 Hotels in Port Aransas start at $70 per night. Prices and availability subject to change. Additional terms may apply. Are you searching for a wonderful place to stay while you are wandering in Port Aransas? Travelocity features many special luxury and affordable accommodations. Within a short drive of the main center of Port Aransas, you'll find 19 memorable hotels and apartments. 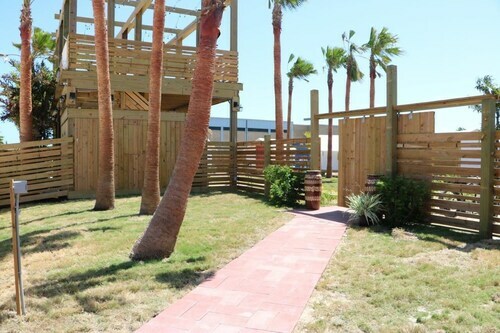 There are only a few places to stay within easy walking distance of central Port Aransas. The Port Royal Ocean Resort & Conference Center is a wise option as it is a mere 2 miles (3 kilometers) away. Here at Travelocity, we respect that our clients have differing budgets. If you're searching for a hotel at the more budget end of the range, Port Aransas features some great options to choose from. The Sea and Sands Cottages is 7 miles (11 kilometers) from downtown, while the Amelia's Landing Hotel is 7 miles (12 kilometers) away. 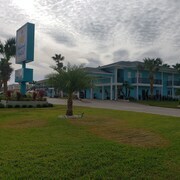 The Island Hotel Port Aransas and the Americas Best Value Inn are another two cheaper options worth checking out. 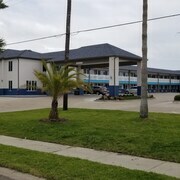 The Port Royal Ocean Resort & Conference Center can be found 0.9 miles (1.5 kilometers) from the main part of Port Aransas. Alternatively, the Holiday Inn Corpus Christi - North Padre Island is about 11 miles (18 kilometers) away. 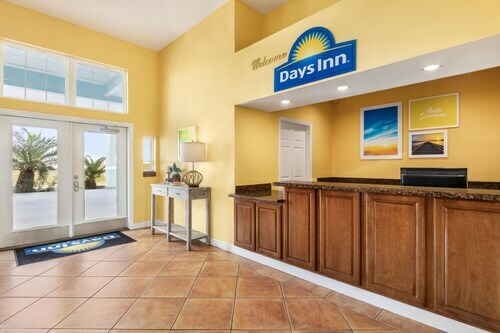 Another two hotel and apartment options around this area are the Holiday Inn Express & Suites Port Aransas/Beach Area along with the La Quinta Inn & Suites Corpus Christi - N Padre Isl. Interested in discovering more of the beaches and coastal plains that this area features? Why don't you plan some time in nearby locations in Texas Gulf Coast? It's no matter if you immerse yourself in common ways of enjoying yourself, for example horse riding and shore fishing, or decide to tour around to get close to local attractions, you'll be able to easily find suitable Travelocity-registered accommodation around here. The nearest hotels in Corpus Christi are Portland and Ingleside. Portland is 15 miles (24 kilometers) to the northwest of Port Aransas, while Ingleside is 9 miles (14 kilometers) to the northwest. Portland Travelocity-registered room options include the Holiday Inn Express Hotel & Suites Corpus Christi-Portland and Hampton Inn Corpus Christi/Portland. The Comfort Inn and Best Western Ingleside are a number of the Travelocity-registered places to stay in Ingleside. Located 20 miles (36 kilometers) away from Port Aransas's center is Corpus Christi International Airport. Find accommodation nearby at Comfort Suites Central or La Quinta Inn & Suites Corpus Christi Airport. The room was very nice. We would definitely stay here again. the couch bed was uncomfortable but I've never actually slept on one that was. I was very pleased to spend a weekend at the beach with our fur baby. I didn't have any issues with him being a pit bull and them having a bad reputation. We had a blast and enjoyed our stay. Great location if going on fishing trips! Friendly staff and comfortable room. Although it’s still going through some reconstruction (Hurricane Harvey), the portion that’s open is very nice. The rooms need to be a little brighter, but otherwise it was very nice. Gorgeous Oceanfront Condo! Just Minutes From the Beach!